Phoebe C. Ellsworth is the Frank Murphy Distinguished University Professor of Psychology and Law at the University of Michigan. She has been a member of the faculty of the Department of Psychology and School of Law at Michigan since 1987. She earned her A.B. from Radcliffe College and her Ph.D. at Stanford University before beginning her faculty career with positions at Yale and Stanford. She is a Fellow of the American Academy of Arts and Sciences, APA (Divisions 8 and 41), APS, SESP, and the International Society for Research on Emotion, as well as a member of the Board of Trustees of the Law and Society Association. Dr. Ellsworth holds the unique position of being a pioneering scholar in multiple fields within social psychology. Some of her earliest publications examined the role of eye contact, facial expression, and emotion perception in the context of social interaction. Her influence on emotion research continues to this day, most notably in the form of her emphasis on the role of cognitive appraisal in emotional experience, and her demonstrations of the interdependence of emotion and cognition. Appraisal theory is now one of the dominant theories of emotion. More recently, she has extended her work to the study of cultural similarities and differences in emotion. Dr. Ellsworth was also one of the first researchers to systematically apply psychological theory and method to the empirical study of the legal system. One of the founding scholars of contemporary psycholegal research, her body of work in this area includes research on death penalty attitudes, eyewitness performance, and juries. In addition to this record of extensive contributions to a range of scientific literatures, Dr. Ellsworth has always made time to serve the discipline and lend her expertise to policy and legal debate. She is currently on the Advisory Board for the Center on Wrongful Convictions at Northwestern University. She serves on the Board of Directors for the Death Penalty Information Center. 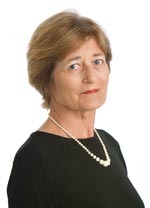 In 2000, she chaired a task force of the Society for the Psychological Study of Social Issues charged with drafting a position statement on the death penalty. She has mentored dozens of graduate students and post-docs who have gone on to successful academic and professional careers in Psychology, Law, Business, and other fields. To honor her varied and distinguished contributions to research, mentoring, and service within psychology, Mount St. Mary’s College in California established an annual Phoebe C. Ellsworth Symposium on Psychology and Justice in 2001. * The FABBS Foundation would like to thank Dr. Eugene Borgida, Dr. Susan T. Fiske, and Dr. Samuel R. Sommers for nominating Dr. Ellsworth for this honor and for leading the effort to spread the word about her nomination. Would you like to honor Dr. Ellsworth? It’s not too late to have your name added to the list of donors! You can make your donation to Dr. Ellsworth’s In Honor Of… campaign at anytime.